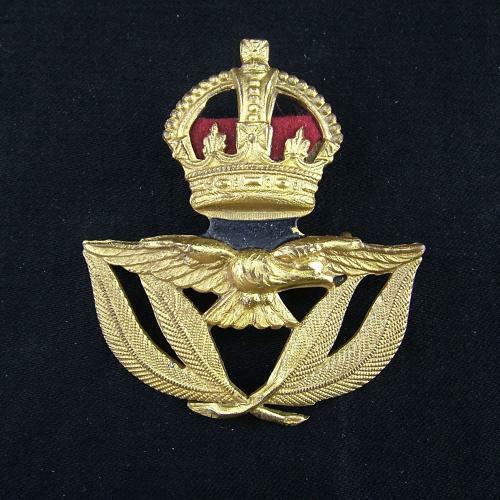 Brass Warrant Officer rank cap badge manufactured in brass. Red felt pad within the crown and blackened section between the eagle and King's crown. Twin lugs to rear. Very good used condition. Stock code U23458.